Wear this flowy one-piece straight from work to happy hour. 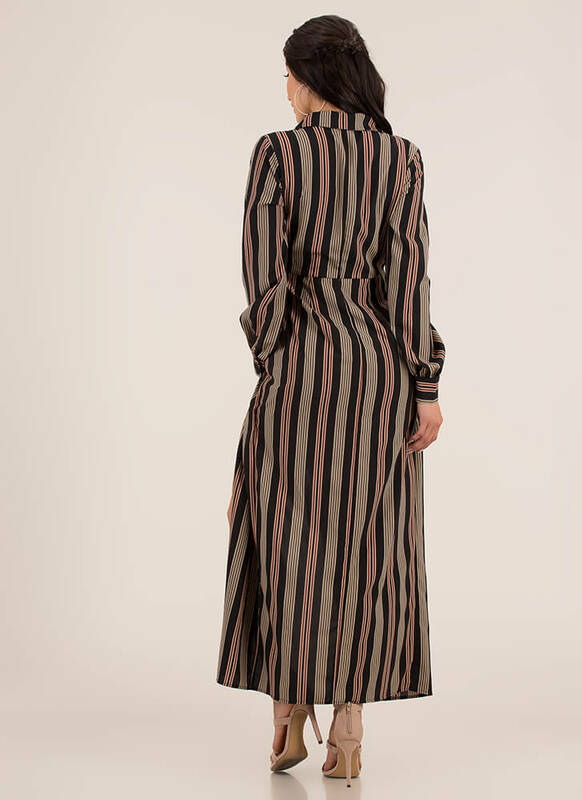 Lightweight, non-stretchy, collared maxi shirt dress features a deep-V surplice neckline, flowy long sleeves with tapered wrists, a knotted or twisted accent on the stomach, an allover striped print, and a long split-front skirt for a slit look over one thigh. Dress is finished with an interior miniskirt and a hidden side zipper for easy on and off. Pattern placement may vary. Length: High: 32.5", Low: 55"